The Energetic Bed and Breakfast Clearing 2 sound / mp3 pack consists of 2 sound programs to clear negative and stale energies from Bed and Breakfast accommodation which may have been left by overnight visitors, or even tradespeople. These sounds were again created on request for a client who runs a holiday accommodation. 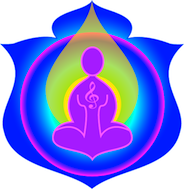 The second sound program in this pack is for clearing the energies of those who have passed over and who’s earthbound energy may be residual in the area. As a ‘Ghost buster’ from way back, I have spent many years doing house and business clearings for clients, often travelling many miles and many hours to fit these ‘clearings’ into my life. Often the issue was not what people often describe as a ‘ghost’ and which I refer to as an earthbound energy, it might simply have been an accumulation of energies left by pervious inhabitants of the home or space. W hat most people do not realise is that everything we touch we leave an energy imprint that remains long after we have ceased to occupy or visit the space, a little like an energetic fingerprint if you will. This energy imprint can in many instances have a negative effect on other people, often without them even being aware if it, although some sensitive people can find it quite distressing. Many is the client I have spoken to who has paid large sums of money to have a premises ‘cleared’ only to find the issues were not resolved. The Energetic Bed and Breakfast Clearing mp3 programs allow people to cleanse their own homes, and especially those homes into which they invite guests without needing me or some one else to go and do it for them, these two simple yet powerful sound programs put the ‘power’ back in your hands. The second program in this pack is for clearing the energies of those who have passed over and whose earthbound energy may be residual in the area. Only available from the business clearing package or from a trained Sounds From Source practitioner who has been trained in house clearing. Office / Career, Clearing Space and Venue, Clearing Home Space and Venue.